Here is some of our work, that we have either published ourselves, or is published by our partners. The DEEP guides have all been co-produced with people with dementia in DEEP groups. In Summer 2018 the All Party Parliamentary Group on Dementia consulted on Dementia and Disability. Click the ‘Show more’ button to view a link to our response. Innovations in Dementia Response – Click here to view the pdf. The more we talk about and use the rights of people with dementia, the more our services, culture and attitudes will change for the better. 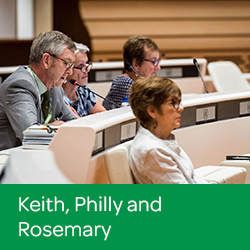 This guide has been authored by Philly Hare on behalf of the Dementia Policy Think Tank. 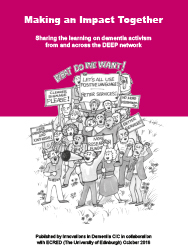 This group – which is a member of the UK wide DEEP network – was set up in 2016 by a number of people with a diagnosis of dementia who have a particular interest in promoting rights and influencing policy issues. Living with dementia is a challenge, and you may well need support. But getting the services and help you need is not always easy. This booklet explains why it can be helpful to know–and talk about–your rights. Rights can help us to uphold shared values in challenging circumstances. The language of rights can help you feel more confident and empowered. Although rights and laws are about everyday life, they can feel complicated. However, there are services, helplines and advocates who can help you to ask for what you need, and to challenge decisions when they seem to ignore your rights. This report from the Mental Health Foundation argues that viewing dementia as a disability rather than an illness would unlock the potential for policy to be developed and services designed, delivered, and monitored by people living with dementia. As a result, people living with dementia will have a strengthened ability to advocate for appropriate levels of investment in social care so they can live as active citizens in the community. The report was commissioned by JRF and Innovations in Dementia supported people with dementia to be involved in writing it. As the DEEP network grows, people with dementia are gaining more and more skills and expertise about how to make an impact through collective activism. They are starting to write blogs, make films, write books and book-lets, speak at and co-chair events, and challenge the status quo. We want to support them in sharing and developing this knowledge. In 2016, a number of DEEP member groups worked with Philly Hare to co-produce a booklet called ‘Making an Impact Together’. This draws on their experience of setting up and running influencing groups to have an impact – and aims to share their learning with others in the DEEP network. The booklet has since been translated into Japanese and is being used by the emerging dementia movement in Japan. United Nations Committee for the Convention of the Rights of Persons with Disabilities. 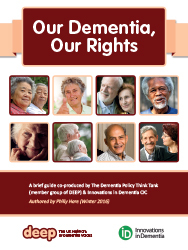 This ground-breaking report includes many examples, quotes and stories that highlight the abuses of rights of people with dementia. 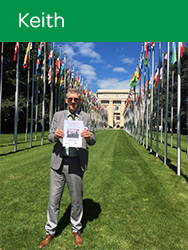 We also supported Keith Oliver, a member of the group, to present the report in person in Geneva. In 2010, the Department of Health asked us to find out from people with dementia what kind of barriers they faced in getting out and about in their communities. The report we produced “Dementia Capable Communities” was the first to articulate the aspirations of people with dementia and their carers in terms of staying connected to their communities in England. It identified the barriers that people faced, as well as some of the features that made communities easier to live in. This guidance grew out of our early work for the Local Government Association, working in Sheffield and Hampshire. The first version of the guidelines contained a toolkit of resources which were widely adopted across the UK and overseas, including in the US and Australia. One of the tools from the original guidance for local councils was an audit tool for public spaces. We worked on this guide with Foundation for Assistive Technology and Trent DSDC. This guide is for the family and friends of people experiencing memory problems and confusion. It is particularly to help people with the early stages of dementia. This guidance note is based on discussions by 15 people with dementia and 8 carers at a DEEP networking event in 2015. DEEP is a national network of involvement/influencing groups of people with dementia across the UK. 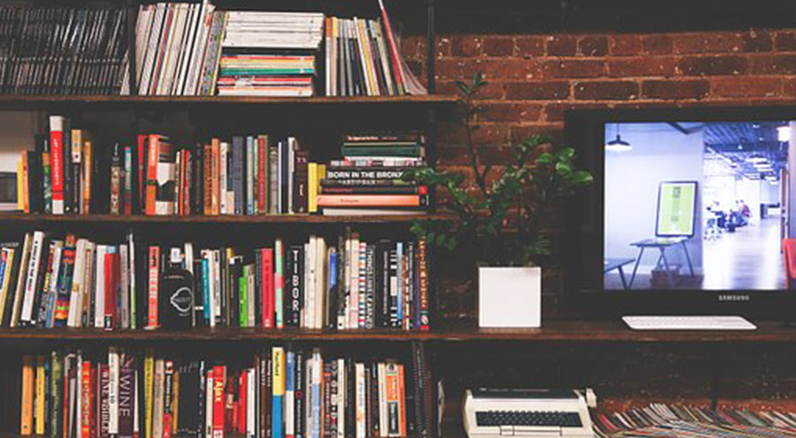 More and more people with dementia are turning to the internet for information. Appropriate meeting spaces are important. People with dementia are increasingly getting together to work on dementia issues. They are also invited to meetings and conferences. This resulted in a guide to using video. DEEP published “Over the Rainbow” a report on an LGBT people and dementia support and advocacy project. Published by the Joseph Rowntree Foundation this report was written by Rachael and was a summary of the learning from DEEP so far. This was a project we ran for Age UK Gloucestershire with our partner Imogen Blood Associates. It spoke to 88 older people living in care homes about their experience and makes recommendations for good practice in working with older people in care homes. DEEP published these guidelines to accompany the Call to Action with the Dementia Action Alliance. This guidance is for journalists, organisations and communications departments. Sound recording can be used to record memories, tell stories, collect views and opinions, share information and tell people what you think. Modern technology means this is easier to do than ever before. Community radio stations across the UK and internet sites offer ways to get your message heard. It is important that people with dementia can have direct influence. This kind of role does not suit many people with dementia. There are many adjustments that can be made to support people to be part of steering or advisory groups. The DEEP network is made up of many different types of group. Certain features are common to many of the groups. Addressing practical considerations will help a group to run smoothly – other DEEP guides might be useful. Linking with other groups in the DEEP network will help. Many organisations produce documents that may affect the lives of people with dementia. Organisations can improve their documents if people with dementia share their views. Many people with dementia can take part in consultations on written documents but they may need support to do so. Organisations and services increasingly want to engage with people with dementia to find out their views. People with dementia across the UK are committed to improving services by giving their views. However, this must be organised in a supportive and respectful way. Organisations and services should be clear about the ways in which they involve people with dementia in their work. People with dementia are often invited to take part in conferences and events. These opportunities provide positive ways for people to raise awareness about dementia. Good pre-event information and an identified supporter can help people with dementia feel more confident. Make sure you have a clear plan in place for how you are going to support the person with dementia. People with dementia are increasingly taking part in conferences and events – as presenters and as audience members. This guide shares some good practice ideas about how to best ensure people with dementia feel welcomed and included. The guide is based on recommendations from people with dementia. Film is a powerful medium that when used positively can make a huge contribution to increasing understanding about dementia. Involving people with dementia at every stage in the film-making process will ensure that the film reflects the messages that people with dementia want others to hear. Many organisations recruit staff or external organisations to work with people with dementia. There are many ways of involving people with dementia in recruitment processes. People with dementia have the right to a say in decisions that affect their lives. This is the report about our project with Shared Lives South West – looking at how adult placement could be used to support people with dementia. People with dementia might not want to be part of a DEEP influencing group for ever – here are some thoughts on this and what to do to help accommodate changing needs. Groups work well if they make adjustments to accommodate people’s changing needs. This is a brief summary of a paper produced with the British Psychological Society.